We’d love your help. 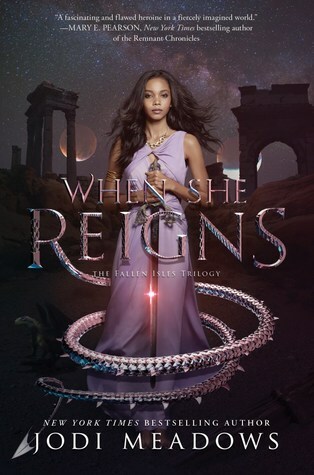 Let us know what’s wrong with this preview of When She Reigns by Jodi Meadows. To ask other readers questions about When She Reigns, please sign up. Just turned in my pass pages! It's a pretty good book, if I do say so myself. Beth I quiver with excitement! I’m zooming through the first one right now.